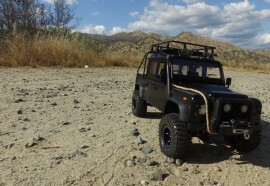 RC4WD is happy to announce that we are jumping on the G-train! 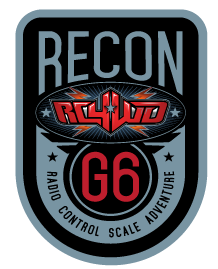 We are proud to support and be apart of Recon G6 as the Title Sponsor! The Recon G6 is a new genre of radio control scale adventure where participants walk behind their radio controlled scale car or truck through a series of numbered trail markers during the event. Along the way, adventure is found in the form of driving challenges and driver challenges. In the coming months, we are super excited to be partnering with Brian Parker to host events all over the world! For more information, click here. For a list of all the events, click here.